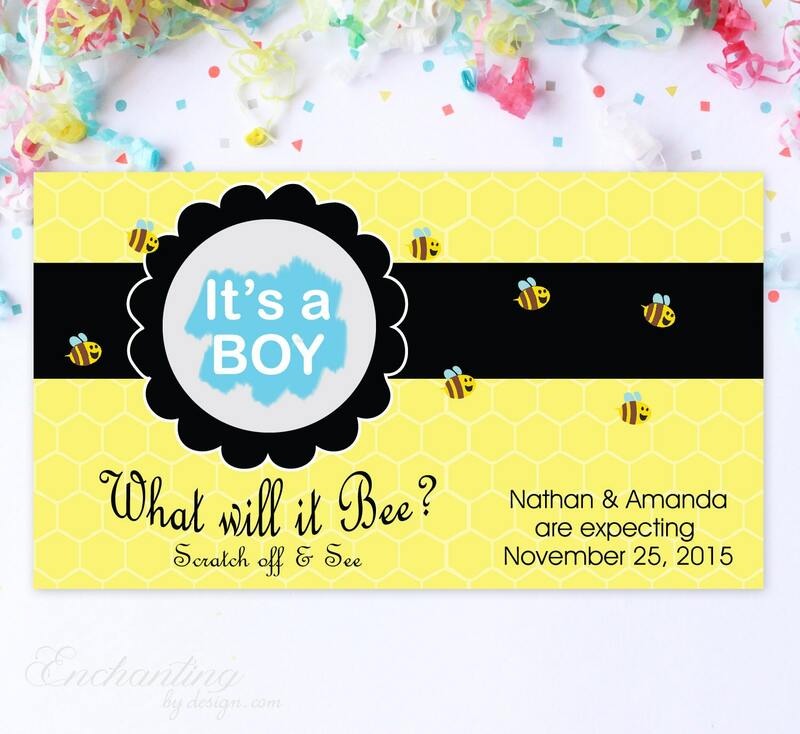 10 Custom Baby Gender Reveal Scratch Off Cards - What Will It Bee? I absolutely loved my cards and envelops. I received so many compliments. I would buy again and suggest to others!! Absolutely pleased!! 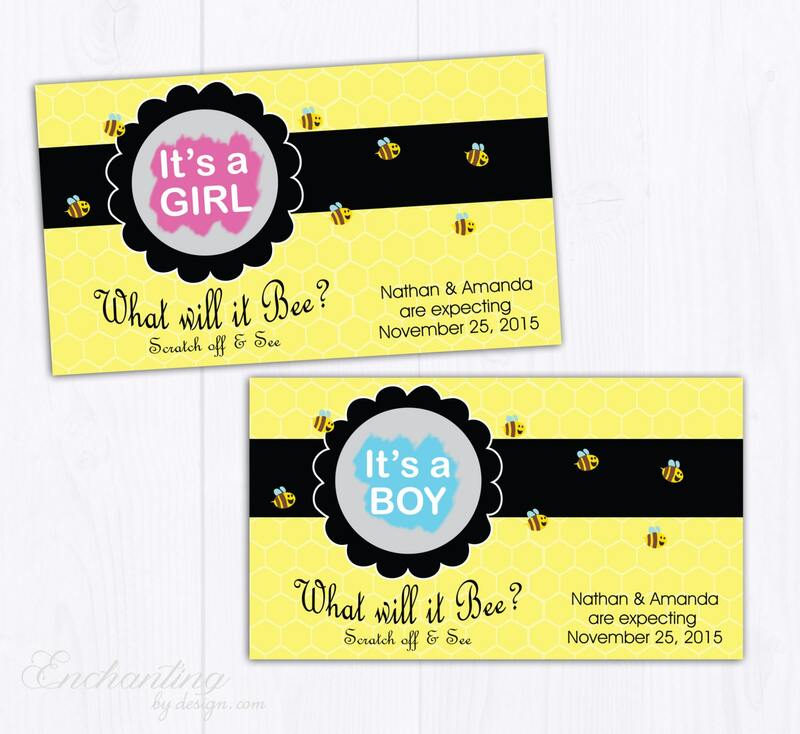 These were a great way to share with the family the gender of our baby!! Loved them! Excellent product and great service. Super fast shipping. 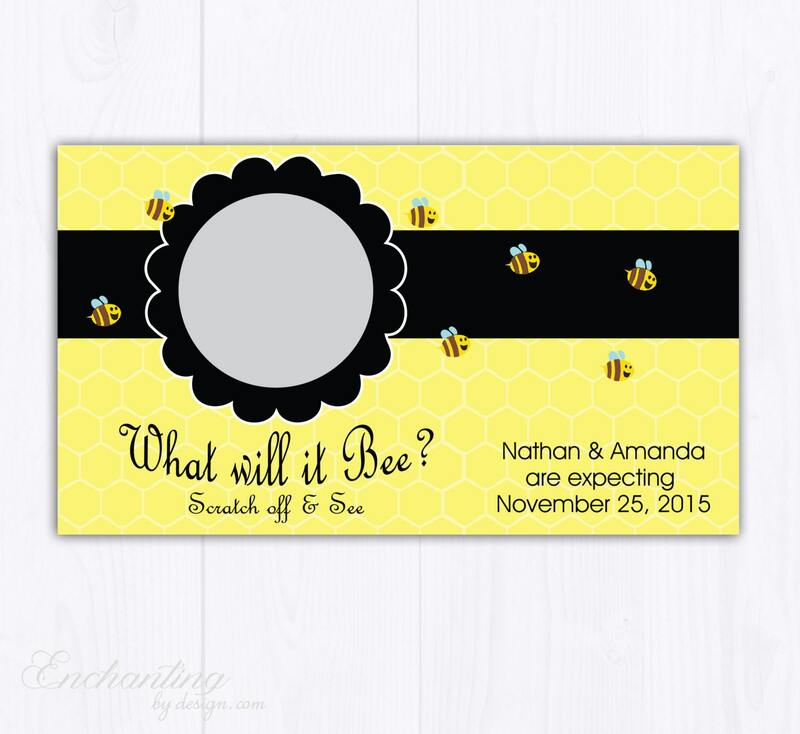 Thanks Enchanted by Design! !